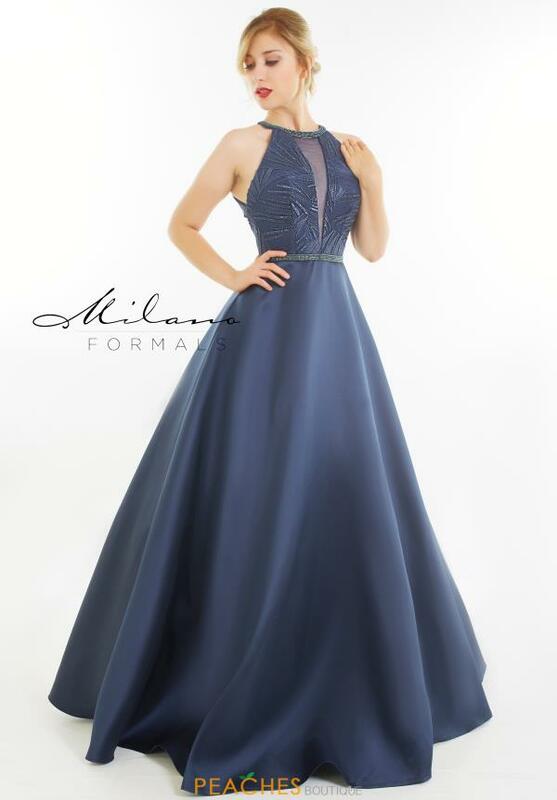 We are loving this flattering navy prom dress E2707 by Milano Formals. Style E2707 showcases a high neckline with an illusion plunging v neckline. The bodice is embellished with radiant stones that add the perfect amount of sparkle. The back of the dress features a gorgeous open back. For more styles by Milano Formals visit Peaches Boutique in Chicago.